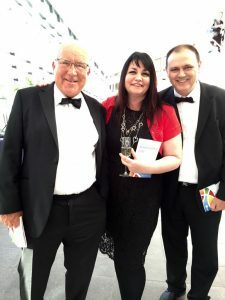 Blue chip client Sir John Timpson CBE with our award-winning manufacturing clients Jude and Gary Robinson from GWR Fasteners. It’s a given, few people like change and employees are famously resistant to it. Change can be highly unsettling and disruptive unless it is planned and managed carefully from the outset. Issues around the Brexit conundrum. We can help you by providing the in-depth planning and considered delivery required for successful Change Management so your people can cope with it effectively and you can concentrate on the bigger picture that drove change in the first place. Consulting and involving those likely to be affected by proposed changes is critical. We take you and your people step-by-step through the process – without the jargon and with your reputation and employee relations intact. If you are interested in people-centred Change Management without the gobbledygook that usually comes with it, call Ian today.